Want to leave the city and go for a walk, combined with a little thrill? 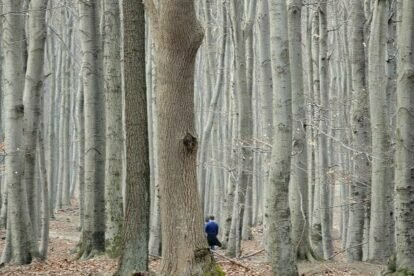 Lainzer Tiergarten, a huge forest, part of the Wiener Wald, on the outskirts of Vienna, might be the right thing. Here you can walk for hours and – depending on which gate you take to enter the park – on weekdays sometimes you won’t meet any human beings, but: wild pigs! Chances are high that when you go for a longer walk in this forest you will see a few of the around 800 wild pigs living here. Boars are social animals, but only when thinking about their own group… We human beings should keep a respectful distance, especially when there are young boars and their caring mothers, but that’s only in spring time. But even if you don’t encounter any game, the forest is worth visiting at any time of the year. And if you are fond of empress “Sissi”, then you should visit the beautiful Hermes Villa, even if its only from the outside (the villa is closed from November during winter time). Even the empress Elisabeth of Austria quite often preferred the countryside to downtown Vienna and had a little villa out here.